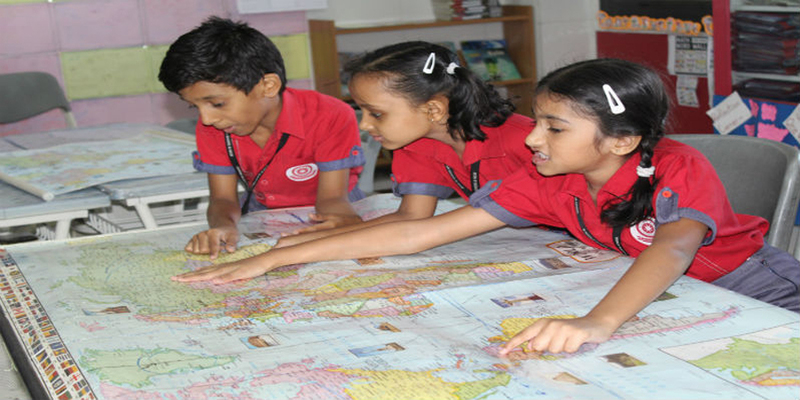 "Ajmera Global School is an IB World School" Ajmera Global School is an international school offering (IB) International baccalaureate primary years programme along with (IGCSE) Cambridge Assessment International education curriculum. 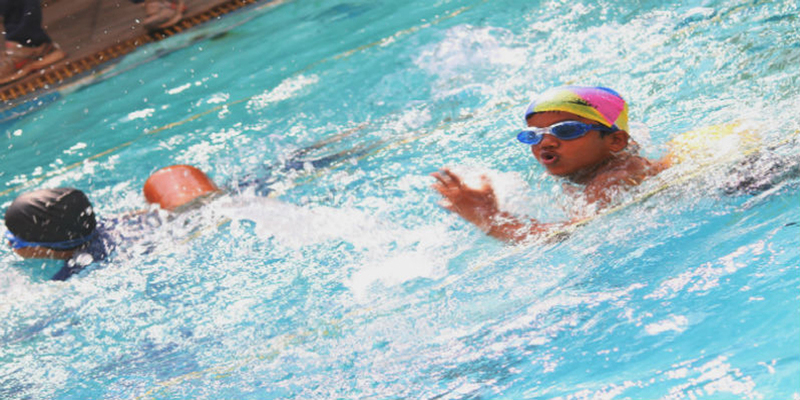 The school is an authorized IB world school along with being an authorized Cambridge center. 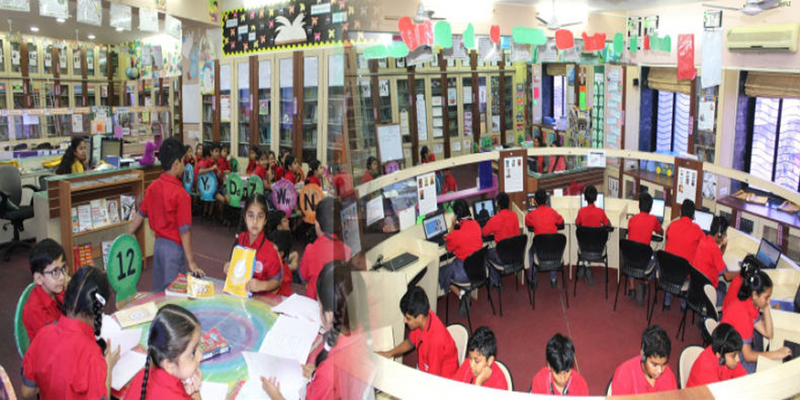 Established in the year 2006, the school has grown in leaps and bounds with more than a decade of service in the field of education. 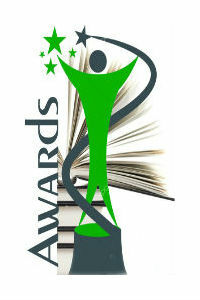 The school has been a proud recipient of several awards and accolades from eminent organizations across the years. We, at AGS, religiously follow the concept-based methodology of learning to prepare the students for the challenges of the 21st century. 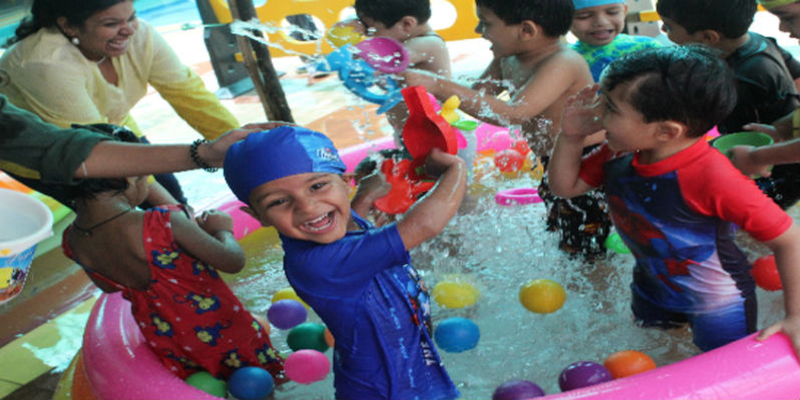 The primary years program uses the inquiry-based approach to train the students to become independent learners by providing a stimulating and challenging learning environment to foster the lifelong love of learning in every child. 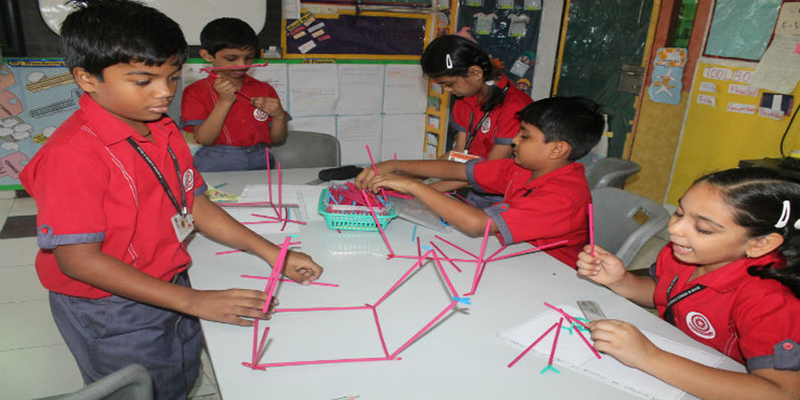 The programme is transdisciplinary in which students learn across subjects while investigating big ideas and concepts. 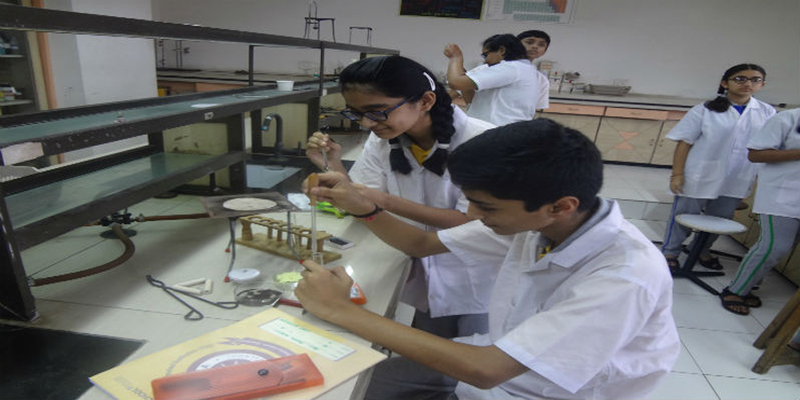 The IGCSE curriculum enriches the learners further by developing creative thinking and problem-solving techniques while applying knowledge, understanding and skills. The curriculum offers flexibility in learning by offering wide range of abilities across a myriad of subject choices. AGS student Mst. Prathamesh Prabhu was awarded the Certificate of Excellence for outstanding achievement in the IGCSE examination 2017-18 during the Annual MISA (Members of International Schools Association) conference held at hotel Sea Princess on 6th February, 2019. Mst. Prathamesh Prabhu topped the school in the science stream. HOS Ms. Hima Doshi and IGCSE Coordinator Ms. Nisha Bhatia also attended the conference and felicitation ceremony that saw a gathering of eminent speakers and educationists. AGS was awarded the "Most Hygienic School" amongst 75 schools by Ayaksha Healthcare. 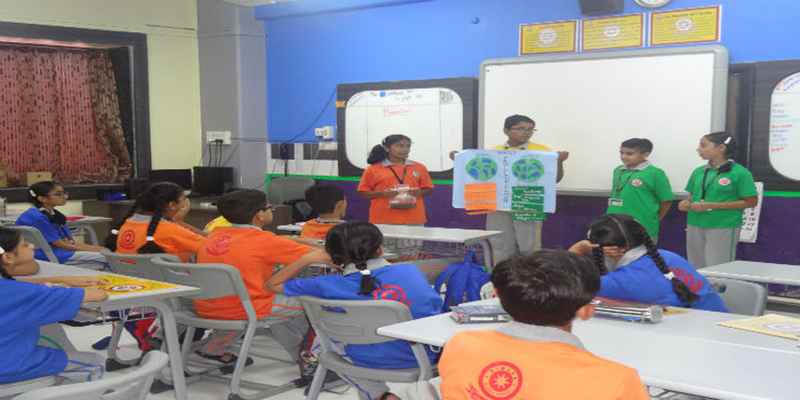 Health and Hygiene has always been a top priority for AGS and the school works round the clock to provide nutritious and healthy food, maintaining a clean campus and conducting awareness sessions for students and parents. Mr. Rakesh Raval founder and director of Ayaksha Healthcare presented the award to HOS Ms. Hima Doshi on 7th Feb 2019..
Mst. Chinmay Desai , Mst. Shubhan Tawde & Mst. Anay Gupta has shown meritorious performance in the mega-finals of the All India Open Mathematics Scholarship Examination (IPM). Mst. Ekambir Singh from PYP 5 has secured 4th position in Indian Junior Open in boys under 13 category held at CCI Mumbai from 17th to 23rd December, 2018 with prize money Rs. 5500/-. Mst. Ekambir Singh of Grade 6 has secured 6th Position in Indian Junior Open (boys under 13 category) with prize money of 3800. 15 students participated at the IIMUN. A proud moment for AGS to announce that Mst. Jenil Makwana , Ms. Heer Visaria and Mst. Kavish Patil bagged the Special Mention award..
Mst. Mit Majlani, Mst. Param Purani, Mst. Pratuth Shetty, Ms. Aafiya Momin, Mst. Tanush Vora (c), Mst. Yojit Dixit, Mst. Rishay Jain, Mst. Swayam Marathe & Mst. Lavanya Dhuri has secured 2nd place in Interschool Football match organised by TSG (The Sports Gurukul) at Balkanji wadi Santacruz.. Proud moment for AGS once again !. Ajmera Global School was the proud winner of Innovation Teaching Methodology Award Organized by ABP National Education Awards 2018.AGS was felicitated during an exclusive award ceremony held at Taj Lands End, Mumbai on 5th July, 2018. Congratulation Mst. Prathmesh Prabhu for scoring 91.37% along with 6 A * in the IGCSE Examination 2017-18.